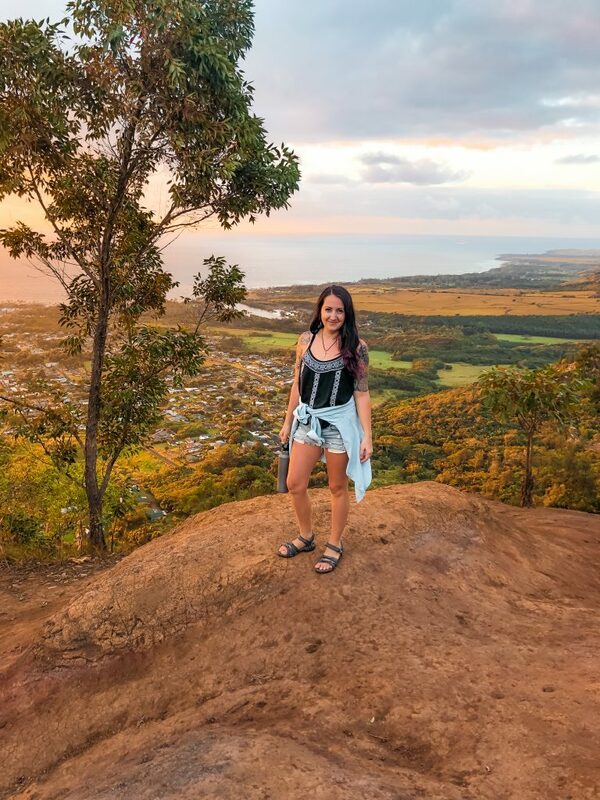 25 amazing things to do on Kauai | You don't want to miss this! 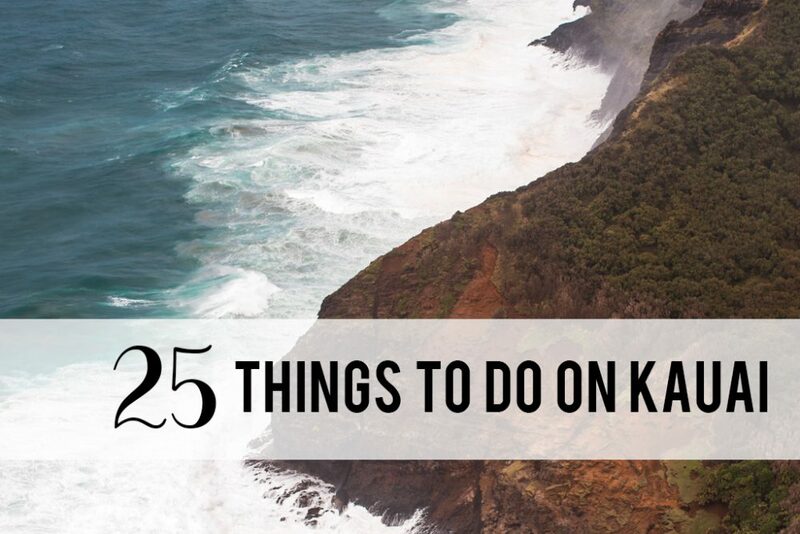 Here are 25 things to do on Kauai to make your vacation epic. 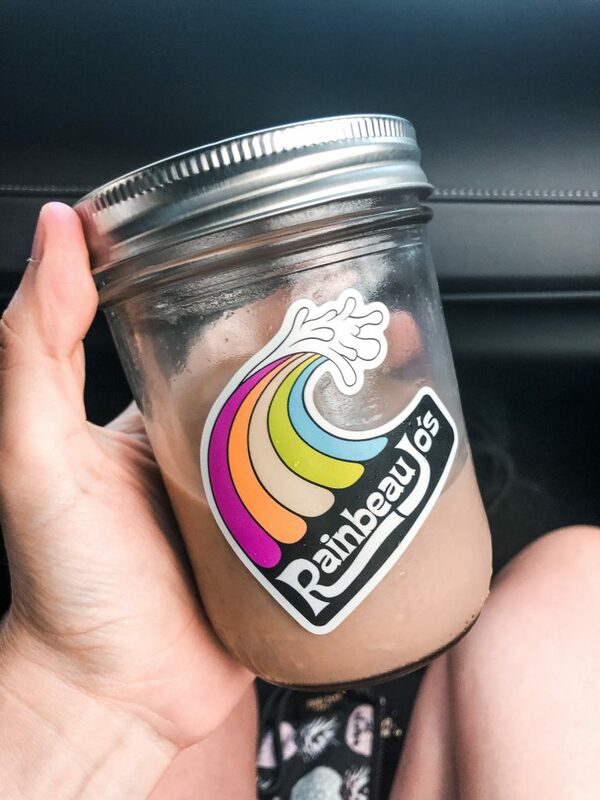 Whether you need a pick-me-up after getting off the plane, or just a coffee any day of the week, check out Rainbeau Jo’s! I heard the bagels are amazing too. Bonus, they have lots of dairy-free/vegan coffee options! Macadamia nut milk + maple syrup = so good! Our helicopter pilot suggested that we check out this hike at sunrise, so we did! It was amazing and I’d highly recommend it to anyone. It’s about 2 miles up, and much easier on the way back down! This is one of my favorite things to do on Kauai! 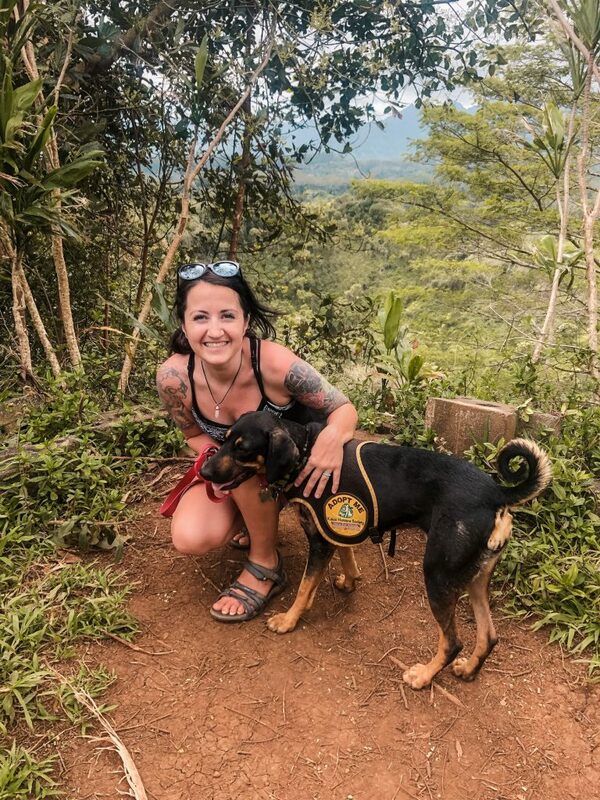 The Kauai Humane Society has a wonderful program where you can take a shelter dog on a field trip. They will give you lots of suggestions on where to go, we took our dog to the Keahua Arboretum to go for a hike. This is our shelter dog, Ellen. She was such a sweet dog and we had a great time! Kauai Juice has grown so much since my first trip to Kauai. They have 3 locations on Kauai and their kombucha is sold almost everywhere. Although I’m sure the kombucha is great, I love the juice! My recommendations are Akala, Omega, or Avatar although you can’t go wrong. The Kapa’a Bike Bath is a great place to ride bikes, go for a jog, or you can take your shelter dog! There are plenty of places to rent bikes, and some local hotels have them available for guests. Waimea Canyon is called the “Grand Canyon of the Pacific” choose from several trails and hike in to check it out. 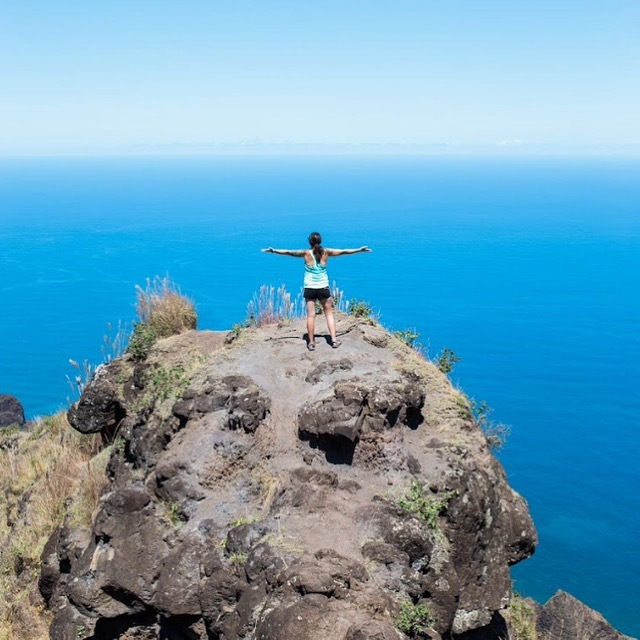 Check out the Na Pali coast lookout or hike the many trails at Koke’e State Park. The Awa’awapuhi trail is my personal pick for epic views of the Na Pali coast. It’s a splurge, but 100% worth it. 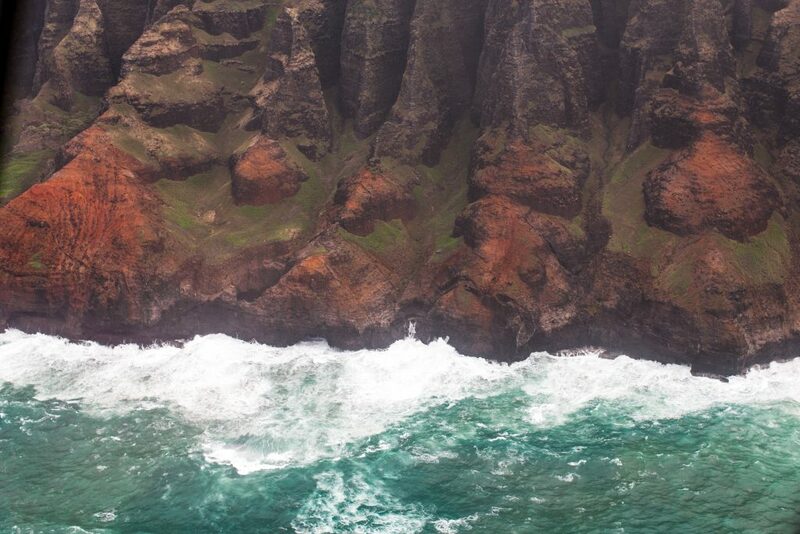 90% of Kauai is inaccessible by car, so check it out from the air. You can’t see this anywhere but from the air! Take a whale watching tour in the winter to see the humpback whales that call the islands their home during this time of the year. If you’re a golfer, Kauai has many amazing golf courses to check out. The three ways to see the Na Pali coast are by boat, by air, or hiking in. Take a sunset dinner cruise and enjoy it from the water. This waterfall is VERY easy to access and you can drive right up to it. Some people do go down to the bottom (despite the fences and signs) but you can get a great view right from the parking lot! This would be a great way to see a waterfall with kids who aren’t into hiking very far. As of early 2019, this trail is currently closed, but it’s one of the best things to do on Kauai. If you aren’t up for the 11-mile hike, you can hike 2 miles to Hanapapai Falls. I’ll update this when the Kalalau trail is open again. 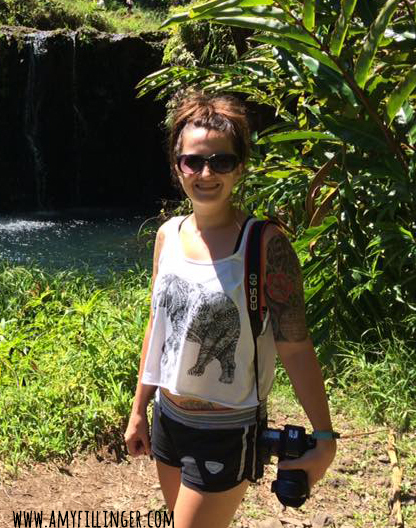 If you’re checking out Queens Bath, make sure to hang out in Hanalei town to shop and eat. Polihale State Park is a remote beach on the East side of Kauai. 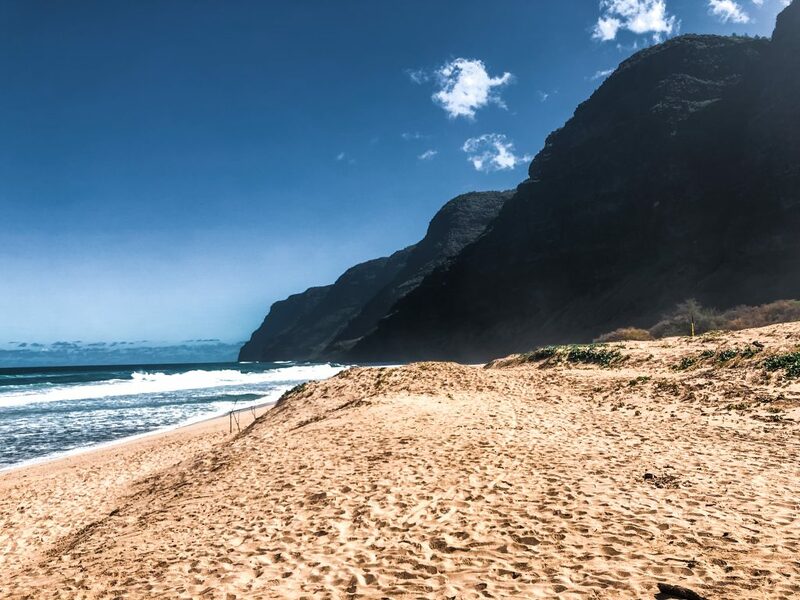 The road to this Polihale State Park is 5 miles of gravel, but it’s worth it! This beach is huge and not busy at all. 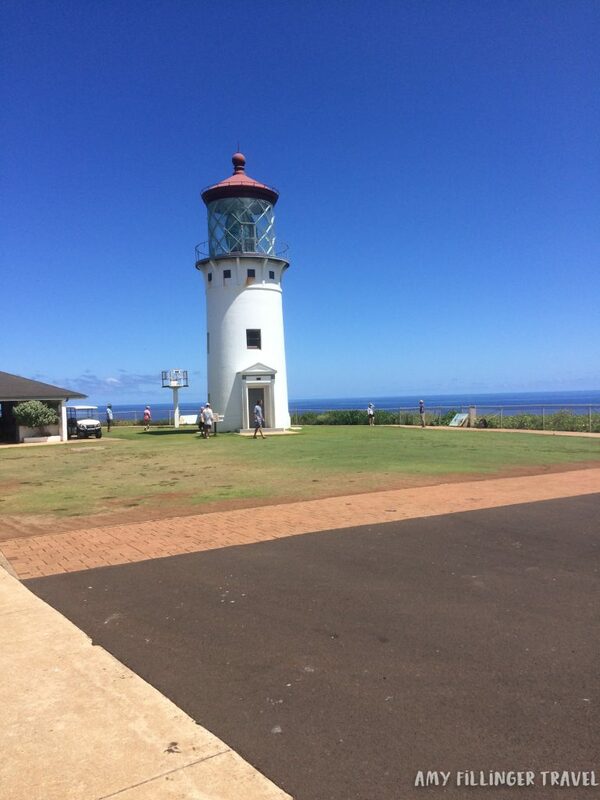 Check out the Kilauea Lighthouse and offshore bird sanctuary for just five dollars. You can rent a Kayak and explore on your own, or take a tour of the Wailua River. 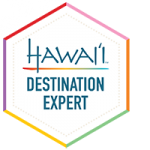 If you’re heading to Poipu or Koloa, you’ll make your way through the tree tunnel. Don’t stop and block traffic for a photo, but it’s such a cool thing to see! Bonus, you can see it from above if you take a helicopter tour. 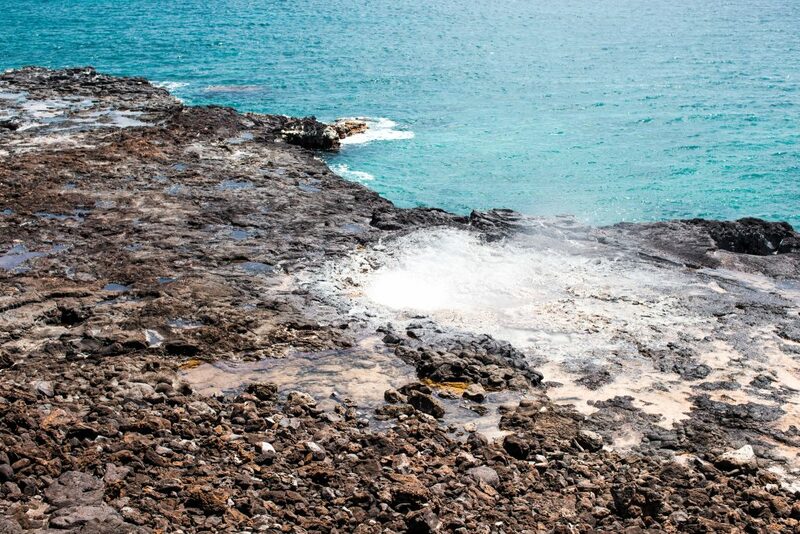 If you’re in the Koloa area, make sure to check out Spouting Horn. It’s not a place where you’ll spend a lot of time, but the water can go up to 50 feet high and it’s an interesting sight. I know it might sound weird to go to Hawaii for tacos, but hear me out. This taco specialty shop is Mexico food with a Hawaiian flair. They have organic options, vegetarian and vegan options, and everything is gluten-free. My #1 choice is the tofu taco and my husband says the shrimp taco is his favorite. It’s absolutely delicious and has something for everyone. 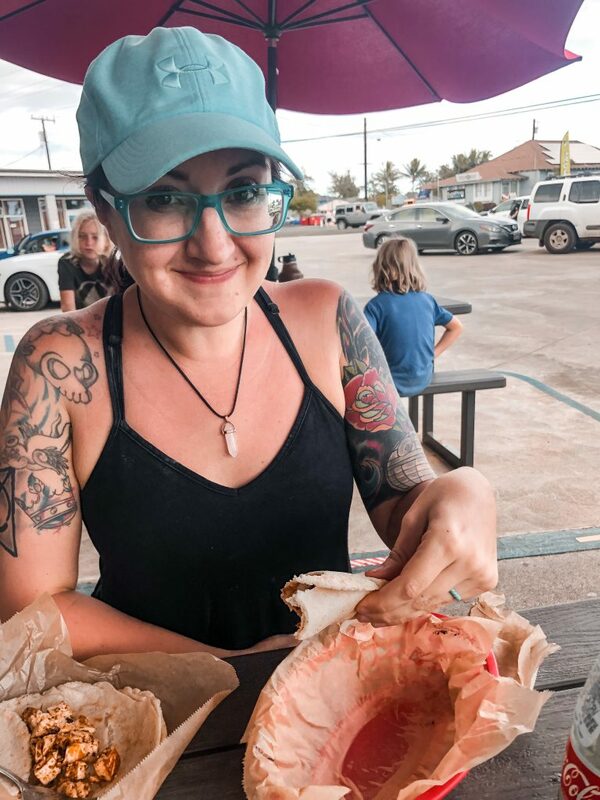 Every time we go to Kauai, we find ourselves eating here more than anywhere else. As a bonus, it’s one of the cheapest places to eat on the island. If you think you’re lost on the way to Glass Beach, you’re not. 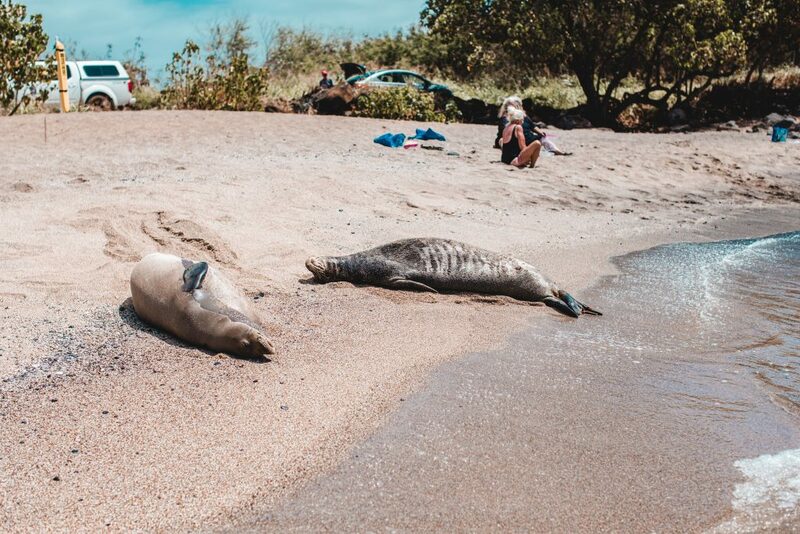 On our last trip to Glass Beach, we even saw some Hawaiian monk seals! 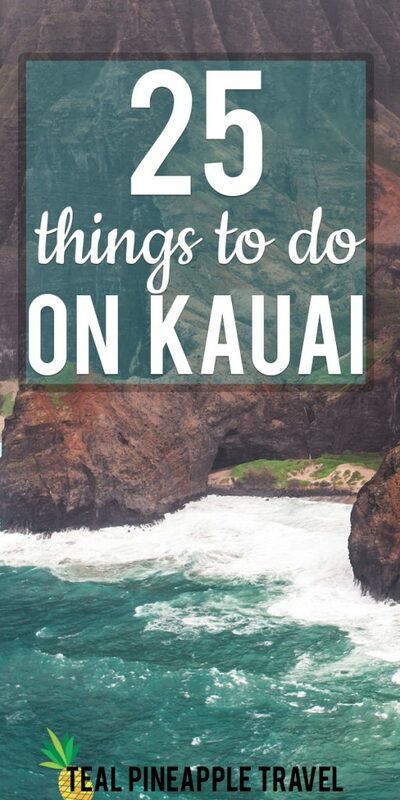 I haven’t done this, but it’s on my list of thing to do on Kauai! I always tell my clients not to think they’ll get to do everything on the island. There are still plenty of things that I haven’t done and I’ve been to the islands a lot. When you think of things to do on Kauai, or in Hawaii in general, you probably think of a luau. I recommend the Smith Family Luau, but there are several on Kauai that I can also recommend. If you want to book a luau or anything else on this list, feel free to contact me because I can help you set up your trip in advance! There aren’t quite as many beach-front dining options on Kauai as the other islands, but there are a few! Lava Lava Beach Club is one where you can dine with your toes in the sand. Make sure to check out Happy Hour for drink specials and great prices on appetizers. I hope this list of 25 things to do on Kauai will help you prioritize what you want to do on Kauai. This is just a starting point, there are hundreds of things to do on Kauai and you’ll never be able to see it all in one trip. If you’re still in the planning stages, I’d be happy to help plan every detail of your vacation! It’s totally free to you, so let’s get started today!